Pictured below is the former Han's Tae Kwon Do dojang in Danville, Illinois; the view is from the northwest, looking southeast across Fairchild street. The entrance looks toward Walnut street. Grandmaster Han's first school was in downtown Danville on Vermilion street and was opened in the late 1970s. 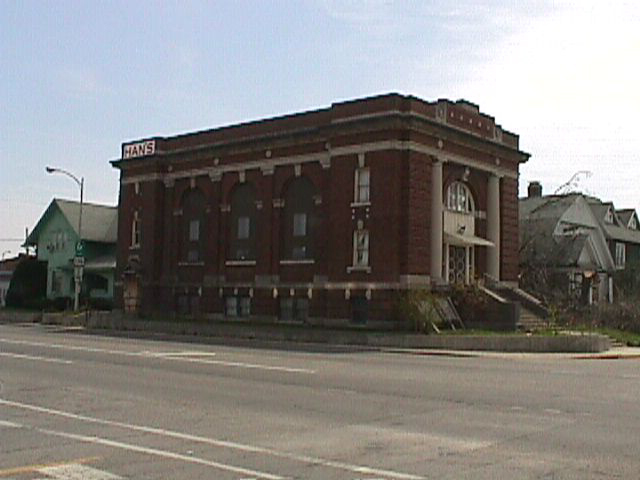 Later, the dojang was moved to the pictured building, which was at the corner of Walnut and Fairchild streets, behind the Times theater; it was once a synagogue. For a while, GM Han and his family also lived in the building. This dojang was closed in late 1997, and was torn down along with the Times theater during the summer of 1999 to make way for a CVS pharmacy. Many boards and pieces of concrete were broken here, and many students took part in classes and promotion tests here over the years. The author taught here for four months before the school closed.